One of the key’s to Author Discovery is to build and maintain a website and blog – every author should have one – and NO, Facebook or Twitter presence does not eliminate the need to do this. You need an online home. Real estate that you own and control. As you build your website, Search Engine Optimization or SEO becomes increasingly important, because it’s all about GETTING FOUND, which is the point of author discovery in the first place. Search engines are the key to finding specific information on the vast expanse of the world wide web. Without sophisticated search engines, it would be virtually impossible to locate anything on the Web without knowing a specific URL. But do you know how search engines work? 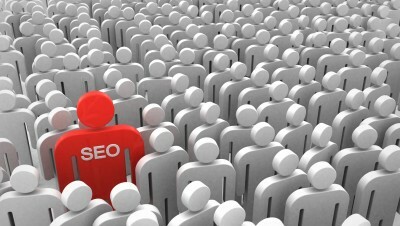 And do you know what makes some search engines more effective than others? When people use the term search engine in relation to the Web, they are usually referring to the actual search forms that searches through databases of HTML documents, initially gathered by a robot. Let’s take them one at a time starting with the importance of keywords. How do you find the books you want to read? What search terms do you use? What blogs do you read for info and reviews on these books? Once you have optimized your keywords, you then need to think about on-page and off page SEO, which are the ways you get the search engines to work in your favor. Remember, there are these robot spiders crawling over the pages of the world wide web. They eat words and they never get full. As they eat, they rate and rank and prioritize combinations of words, tags, images, and videos so that when humans search for things they can spit out gazillions of results in a matter of milliseconds. On page: Feed these spiders by dropping specific keywords in the page title, URL, headings, and page text of your site. Off page: Get linked back to your site from as many specific sources as possible so that the spiders keep having to crawl back to you. The more trusted the site linking back to you the better. The most important thing to remember about optimizing your website and blog for search engines is that you can do it yourself. There are a zillion company’s online trying to sell you on the need to pay them to do things you can do yourself with a little time, focus, and persistence. Remember, you have all the tools at your disposal to truly DIY when it comes to SEO! You have the time, tenacity, and will to make it happen and you have now been empowered by reading this and other resources guiding you in the right direction! And here is a free whitepaper from hubspot to get you started! Now, let’s move on to all the glorious free tools Google offers to help boost Author Discovery! The most important aspects are the content and technical side of a website. You should make sure that your content gives value to users and all technical issues should be fixed. Off page optimization will give support and add additional value to your website. If your website needs additional traffic, you could have already looked over other advertising options. the very ideal way to generate massive levels of traffic you have never seen before.